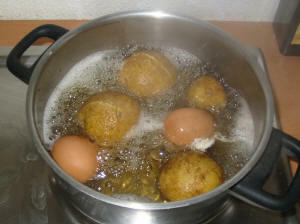 Cook the eggs an potatoes in water with a little salt. 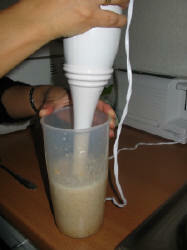 While cooking the potatoes, crush the peanuts in a blender after adding a little water to obtain a thick sauce. 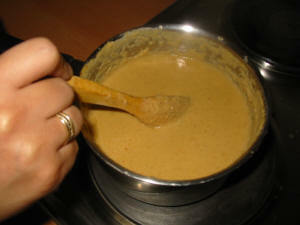 In an oiled pan, slowly cook the peanut sauce for about 5 minutes, moving it continually. Season with salt and pepper. Add yellow aji and continue to cook and move the mixture for a further 10 minutes. Peel the potatoes. Cut both tomatoes and the eggs into slices. 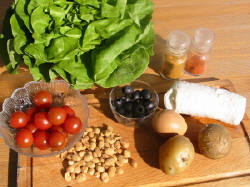 Serve on plain plates, arranging two potatoes over a large lettuce leaf. 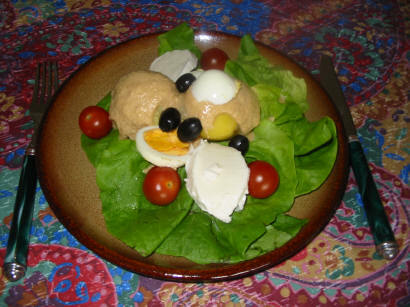 Pour the warm peanut sauce over the top and decorate with the egg, tomato, white cheese and black olives. Season with a little oil and vinegar as required.